Many people ask the question, “Do I need a Last Will and Testament”. The truth is that the answer depends on many different circumstances. Louisiana law is different from practically every other state. Our laws provide for very strict regulations on how a Will is executed. Failing to follow the exact legal proceedings will result in an invalid will. ContactWaitz & Downer for an experienced Estate Planning & Wills Attorney in Houma, Thibodaux, and New Orleans. At the Waitz & Downer Law Firm, our Houma Wills Lawyer offers the legal guidance you need in deciding, first, if you need a will. Then, once you decide you do, we provide excellent representation with the assurance that your Will be executed in accordance with Louisiana law. Ensure the order of succession. You may be surprised to know that Louisiana law provides for disposition of your property in the event you die without a Will. Did you know that if you die without a will, your separate property may go to your nieces and nephews before your surviving spouse if there are no children? To ensure your beneficiaries, seek representation from a Thibodaux Wills Attorney. Ensure the enforcement of your wishes.You have the peace of mind to know that your wishes will be carried out by a Louisiana Wills Attorney. Choose a guardian for your children. If a tragedy occurs and your children are left without parents, a will provide that your children will be taken care of by the person of your choosing. Our office provides affordable, competent legal services to assist you in your estate planning in Houma & Thibodaux, LA. Call us for an appointment to discuss your personal needs. Our Wills attorneys are skilled at preparing your legal documents and our prices are affordable. Call us now for an appointment at (985) 876-0870. The estate planning attorneys at Waitz & Downer take a highly personalized approach to estate planning in Houma, Thibodaux, and New Orleans. 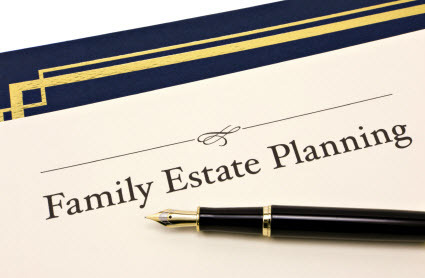 Before creating an estate plan, our attorneys need to understand what you want it to do. A good estate plan is going to involve trusts, powers of attorney, and non-probate assets such as IRAs, life insurance policies, and annuities. It is going to consider the needs of your family after you are gone. It’s also going to protect the assets it leaves for your family, while giving them flexibility and control. If a husband and wife simply leave assets to one another, then the surviving partner will have double the assets he or she will need to give away before dying to qualify for Medicaid. If the husband and wife leave the money to each other in a trust, the surviving partner can benefit from it, but the government can’t count it for Medicaid purposes. Almost all of our clients have wills that leave assets to a trust for the benefit of the surviving spouse that is safe from the government. We take the time to listen to your needs and desires and draft a will that complies with the legal requirements to allow your wishes and desires to take place. Our attorneys or knowledgeable and professional and our rates are reasonable. For more information or to schedule an appointment with an estate planning attorney in Houma or Thibodaux, contact the Waitz & Downer Law Firm at (985) 876-0870 to schedule an appointment.